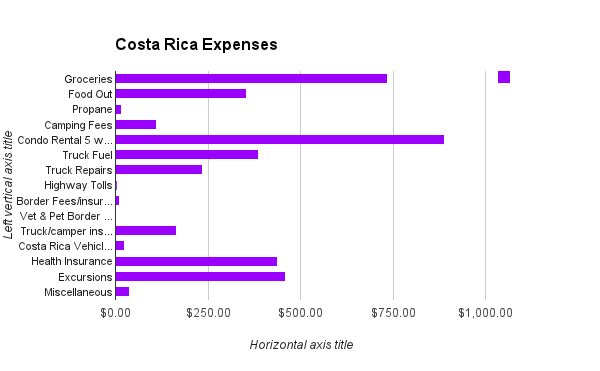 1,871,606.130 Colones and 60 nights of Pura Vida in Costa Rica…. The exchange rate at the time averaged 540 Colones to $1 US dollar. 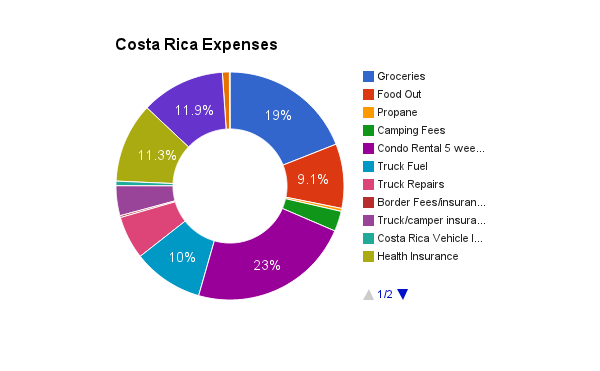 After 5 months on the road we decided that Costa Rica was the perfect spot to rent a beach condo for 5 weeks and experience the pura vida lifestyle. Purchasing purified water was no longer needed and could be filled from most sources and then ran through our filtration system. We also enjoyed a fun visit from both moms for 9 nights – thus meaning that we had 9 free nights of lodging and food. Wahoo!